teaching students how to heal with them. Last month, during my stay in Thailand, I had the opportunity to visit Baan Hom Samunphrai - a well-known Thai medicine school located in Chiang Mai. The director, Homprang Chaleekanha, grew up in a small village on the Thai-Burmese border and first learned Thai folk medicine from her grandmother who was the herbalist, doctor and midwife for the local community. It is a truly unique experience, a knowledge accumulated for centuries and passed orally from generation to generation. 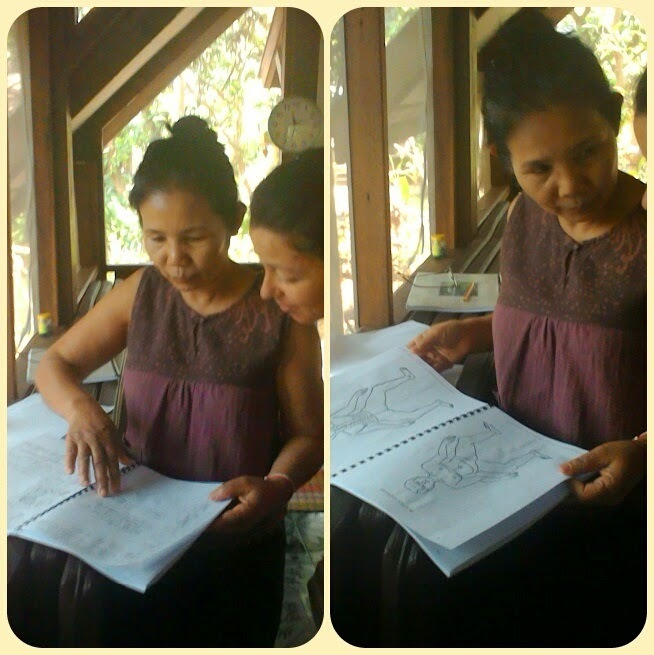 D-r Homprang is among the first Thai Traditional Medicine Healers to be fully accredited by the government. To pass the governmental exams is not easy. 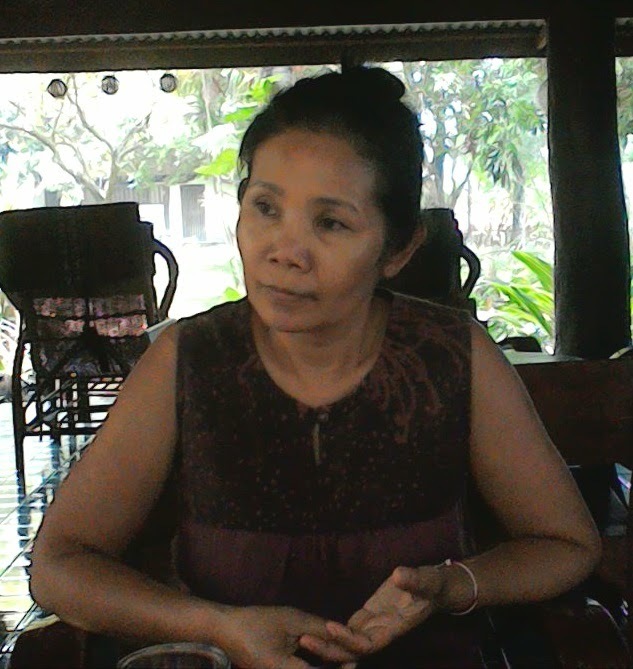 Many folk healers in Thailand experience great difficulties with these exams as they include questions related to modern medicine and science. Also, a folk healer may know how a certain herb looks when it's fresh, but may not be able to recognize it in a dry form or to know its scientific name. 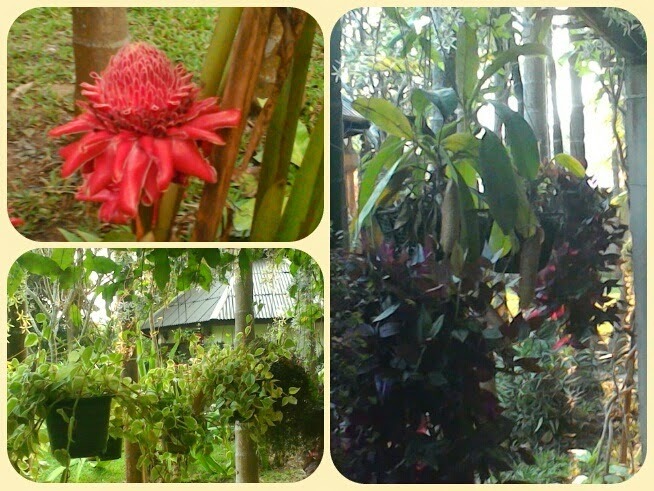 Now d-r Homprang is frequently visited by Western botanists and herbalists, Chinese medicine profesionals and massage therapists from around the world. During my talk with d-r Homprang, I was impressed by her vast knowledge and openness to share with the others, her unpretentious attitude, inner strength and charisma. D-r Homprang says that one of the principles in Thai medicine is to never take medicine after sunset. Except cases of immergency, all medicinal herbs are taken only during the day, i.e. after sunrise and before sunset. Another interesting point is that while seeing the patient and making the diagnosis, the Thai medicine healers in the past took into consideration the astrological chart of the patient. 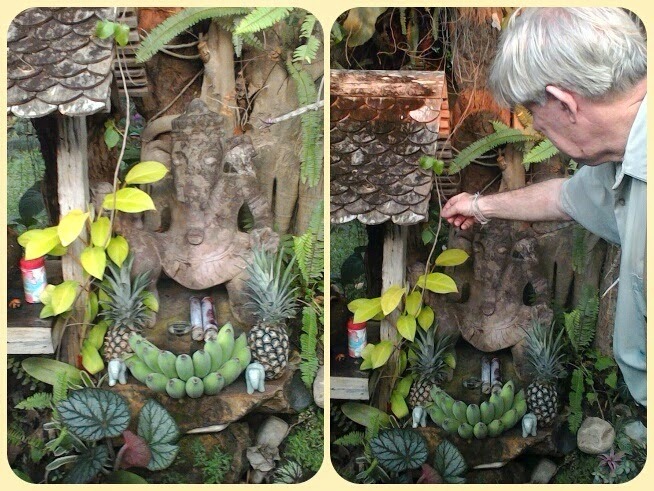 By doing this, the healer could try to improve the overall balance of the elements with the use of herbs and other methods. There is no moxibustion in Thai medicine, however the hot herbal compresses and the herbal steam baths play an important role in the healing and are frequently used. Fresh ginger rhizome, turmeric root, galangal rhizome, camphor crystals, tamarind leaves, kaffir lime, eucalyptus leaves and lemon grass are some of the main ingredients. They all are very aromatic and penetrate into the body rendering wonderful healing effect. The Thai oil massage involves the use of a huge variety of oils from fruits, flowers, seeds and herbs, each possessing its specific healing properties. "The sesame oil goes deeper in the body than the other oils. That is why it is used in the treatment of broken bones." - explains d-r Homprang. - "In our herbal compresses we sometimes also add sesame seeds to strengthen the bones and cure joint problems." At the beginning of each and every treatment, the Thai medicine practitioners recite a prayer to invoke the spirit of Shivaga Komarapaj , known in India as Jivaka Kumar Bhaccha - Buddha's personal doctor, called "the father of Buddhist medicine". Cultivating Metta (Loving Kindness) and respect toward the patients and the world is part of the traditional medical education in Thailand. "Before you start the work, first say a mantra for protection. Thai massage always begins with a pray. With the special mantra, you pay respect to the spirits in the patient's body. If there are any outside spirits that invaded the body, with this mantra you kindly ask them to leave. It will also protect the healer as well." - explains d-r Homprang. in the Thai Therapeutic Massage course notebook. "You must work with love! - you have to do it slowly, with love, respect and patience." D-r Homprang has students from different parts of the world. One of them, Teune van der Wildt, is an experienced yoga instructor and Thai medicine practitioner from Belgium. Currently he is doing 6-month internship with d-r Homprang at Baan Hom Samunphrai. 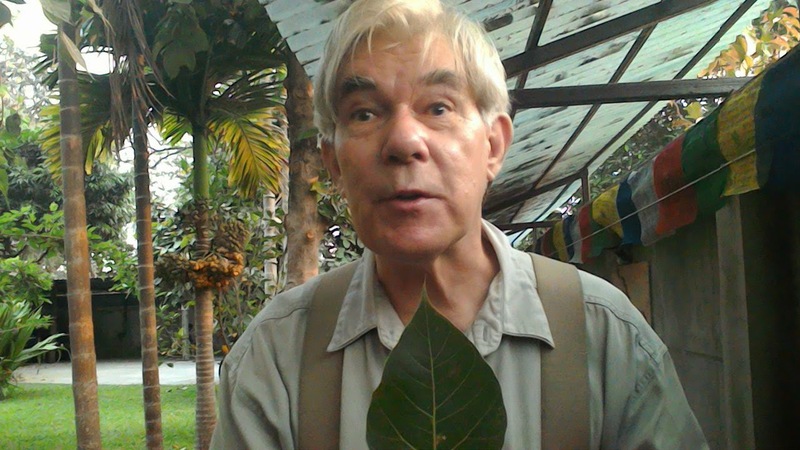 Christopher talking about the symbolism of the Boddhi tree and its heart-shaped leaves. Christopher Woodman, the husband of d-r Homprang, is an American poet, who has studied at some of the most prestigious universities in the West - Yale, Columbia and Cambridge; has been Chairman of the Cambridge Buddhist Society and worked with Akong Rimpoche and Chogyam Trungpa at Samye Ling - the first Tibetan Buddhist monastery in the West. With all his rich experience, creative mind and talents, he prefers to remain humble and says that he is still an amateur in everything. "He holds a mortar in his left hand and a pestle in his right in order to prepare herbal medicines for sufferers. The pestle is, in fact, Ganesha's broken right tusk which he willingly sacrifices for our well-being. And he often writes with it too, helpful words, needless to say -- for openness, generosity and encouragement are his gifts." 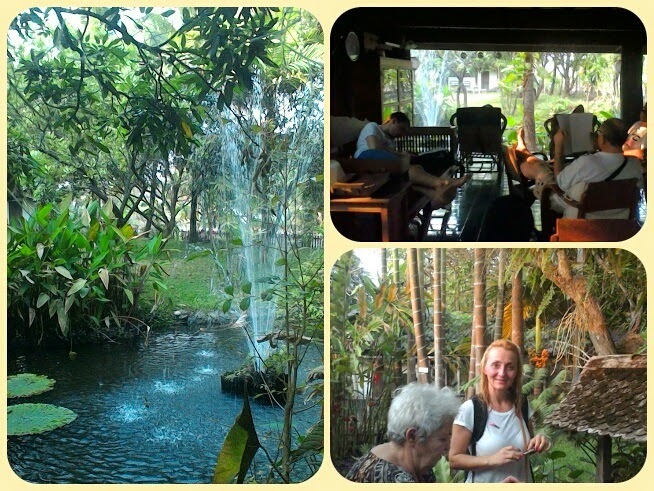 My group of friends enjoyed the beautiful garden at Baan Hom Samunphrai. Some of them had a herbal steam bath, while others relaxed near the fountain and read Christopher's poetry. 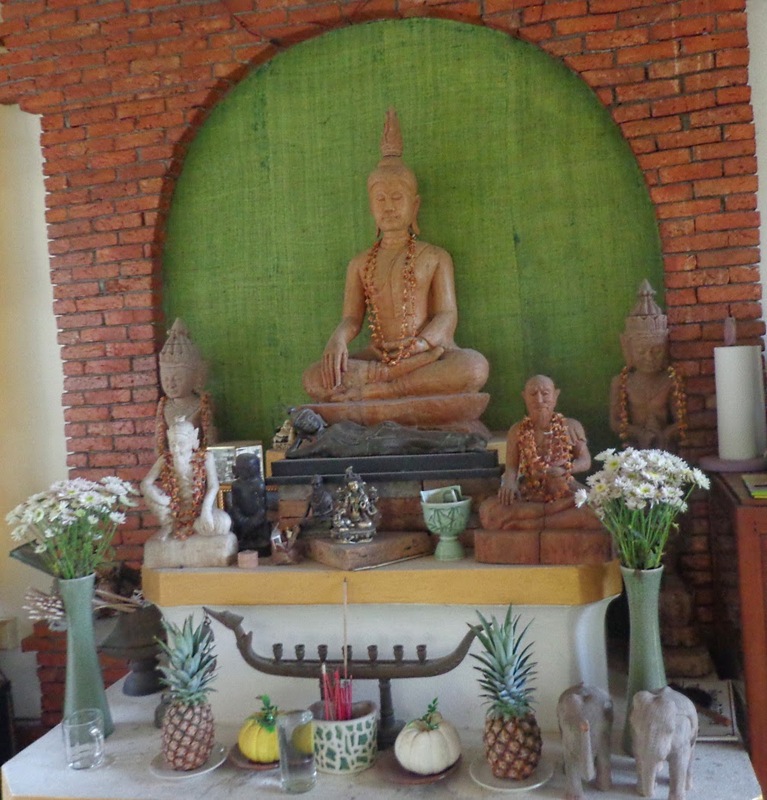 Baan Hom Samunphrai is definitely a place where one wants to visit again and again, to learn more and enjoy the wonderful garden, the excellent food and the company of good friends.